When it comes to asthma, an ounce of prevention can surely be worth a pound of cure. 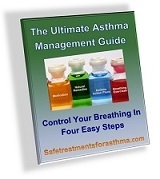 One of the easiest methods of managing asthma symptoms is finding triggers and avoiding them. Asthma prevention is not rocket science and can be used by anyone who is willing to learn. Knowing what your triggers are can help you remove allergens. The most common allergens occur during the growing season. 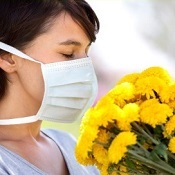 If you are an allergy sufferer who is allergic to pollen, this can make going outside a breathing hazard. That's no fun. When you go for allergy testing, ask your allergist to find out what kind of pollen you are allergic to. Some are allergic to pollens and others to spores. 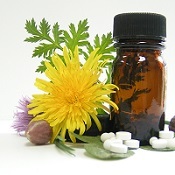 For better asthma prevention, find the plants that cause you grief and limit exposure. Dust mites are everywhere. They are anywhere that people sit, sleep, play, and run. These spider-like creatures do nothing to harm us directly - they simply like to dine on our dead skin cells that get left behind where ever we go. Unfortunately, their droppings are what irritate many people's airways and cause an allergic reaction. To keep them under control and reduce their numbers, there are a few suggestions. You can use allergy bedding and dust mite covers to block allergens. Make sure to change your bed sheets regularly and wash them thoroughly in hot water. Mold can be found both indoors and out. Indoor mold is fairly easy to control with a bit of work. 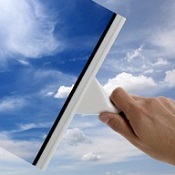 The most important thing to do when it comes to mold control is to keep surfaces clean and dry. 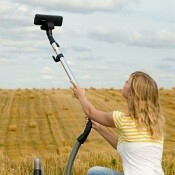 You can also use mold and mildew control products to retard the growth. 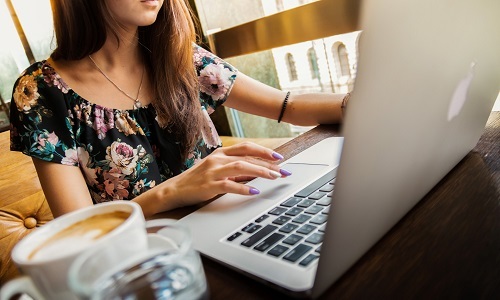 So places where mold might grow, such as the kitchen, bathroom, basement, laundry room - even your humidifiers or dehumidifier- are where you can kill them! While your pet can be a loving companion, sometimes it is also a source of allergens. Whether it is the animal dander, saliva, feces, or urine that you have a reaction to, it can make it hard for you to breathe. 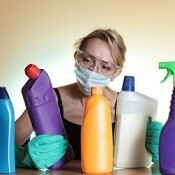 You can clean often and use pet allergen control products for asthma prevention. Otherwise you will have to find a loving home for your animal friend. Maybe even one with family so that you can still visit for short periods. Unfortunately, continuing to keep a pet when you have severe allergies and asthma can be a deadly combination. Some people have allergies to foods. Consumption of some foods for certain people can cause anaphylactic shock when they come in contact with their allergen. If you can be in the same room with them, that is great. However, those with severe allergies often must carry an epinephrine applicator to combat this condition. Know what your allergens are, and how severe your reaction is to them.. While smoking is seen more and more as a bad habit, there are still many who smoke. If you are a smoker, it is important that you talk with your doctor to get the help you need to stop smoking. This habit can make your next breath your last far too soon. Second hand smoke can kill. If you have family who are smokers, and they reside with you, it is important to explain how their smoking affects you. Make your home a smoke-free zone or use an air cleaner for asthma prevention. Set up a place outside the house that is comfortable for your smoking friends and family.